Having survived scores of dangerous missions during the Second World War, Emmett (Mac) MacKenzie returned home and then served another year during the Korean War with the Air Sea Rescue Service at Selfridge Air Force Base in Mount Clements, Michigan. After obtaining a bachelor’s degree in education and a master’s in mathematics and science, he married Pauline Johansen, his wife since 1955, raised a family of three girls, and taught high school math for 32 years. He then joined the Sperry Univac Computer Corporation and taught module software to air traffic controllers. MacKenzie finally retired in 1989 and lives in the Twin Cities in Minnesota. 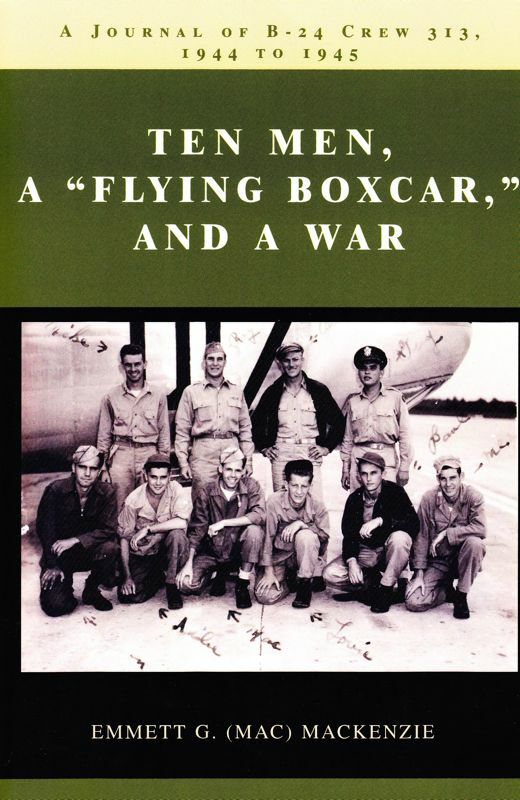 Ten Men, A "Flying Boxcar," and a War is available at various on-line book stores.